The Commonwealth of Virginia cemented a five-year deal with private firm Transurban to upgrade sections of Interstates 495 and 95; a deal representing roughly $1 billion in construction contracts. A 2.5-mile extension of the I-495 Express Lanes north to the American Legion Bridge to reduce congestion. The Virginia Department of Transportation and Transurban have signed a Project Development Agreement for the Capital Beltway Express Lanes Northern Extension, dubbed “Project NEXT,” which includes direct connections with the George Washington Memorial Parkway and the Dulles Toll Road. Four general purpose lanes and two new Express Lanes will run in each direction of the Capital Beltway starting from the current terminus near the Dulles Access Road and ending at the American Legion Bridge. No state funding will be supplied to this Express Lanes network project; lanes that will be extended to the Maryland border. The addition of a new, reversible ramp connecting the existing I-95 Express Lanes at Opitz Boulevard to provide improved access to Potomac Mills and Sentara Virginia Medical Center. The ramp will offer Express Lane drivers the option to exit directly onto Opitz Boulevard. Transurban will be responsible for the design, construction, maintenance, and all associated costs for this project. Construction of a new southbound Occoquan auxiliary lane on I-95 in Woodbridge to address the traffic bottleneck at the Occoquan Bridge. The Occoquan Auxiliary Lane will connect the southbound Route 123 ramp onto I-95 with the off-ramp at westbound Prince William Parkway, with this project requiring no compensation payment to Transurban. 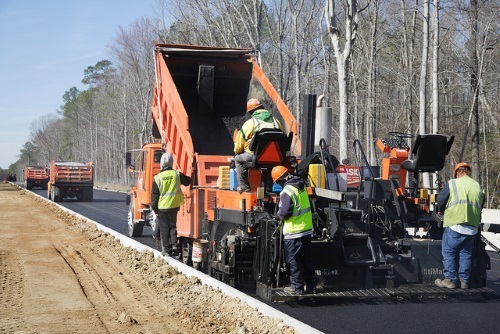 The Virginia Department of Transportation is advancing required environmental studies to support these projects, the governor’s office noted, and while the timeline for delivery of those improvements continues to be “refined,” construction could begin as early as 2020. In addition, the proposal for the Fredericksburg Extension Project – known as “Fred Ex” and consisting of a 10-mile extension of the I-95 Express Lanes to Fredericksburg – has been finalized. Since the project was initially announced in January 2018, contract negotiations, a competitive design-build procurement, and more favorable financing options have advanced the deal, enabling Transurban to deliver to Virginia a payment of between $54 million to 98 million to fund additional transportation improvements depending on final teams of a low interest federal loan. In addition to the existing three general purpose lanes, Fred Ex will provide two reversible Express Lanes of new capacity, which will be available at no charge to high occupancy vehicle or HOV users and transit riders. The project is expected to increase capacity on this section of I-95 by 66 percent during peak periods, the governor’s office said, with construction planned to begin later this year full opening to traffic by the fall of 2022. In total, Transurban has committed more than $1 billion over the next five years to fund enhancements to the regional transportation network, she noted.